Mercury Insurance started out in California in 1962 and has since expanded to 13 different states and currently, has nearly 2 million policyholders. Mercury is known to cater to high-risk drivers who have had many collisions, past DUI convictions, or other traffic violations. For this reason, subsequent accidents among Mercury-insured drivers may be more frequent than some other companies that will not insure higher risk drivers. If you have sustained serious injuries in an accident caused by a driver with a Mercury Insurance policy, it is critical to discuss your case with an experienced Los Angeles personal injury lawyer at the Steven M. Sweat, Personal Injury Lawyers, APC as soon as possible. Due to the history of a variety of abuses against policyholders and injured claimants, anyone who has to file a claim with Mercury Insurance should be represented by a skilled lawyer who understands how to handle this type of claim and protect your rights to compensation. The Steven M. Sweat, Personal Injury Lawyers, APC, APC, has had success in helping clients who have had to file claims with Mercury Insurance. In one case, a Los Angeles client suffered neck and back injuries in a rear-end collision. These injuries exacerbated the client’s preexisting spine condition. After Mercury Insurance initially denied the client’s claim, stating that there was no exacerbation of her pre-existing condition attributable to the car crash, our firm went to work. We hired medical experts to examine the client and review her medical records and then confronted Mercury Insurance with the results. 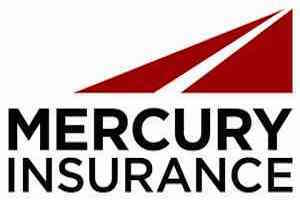 Mercury Insurance went from initially offering $0 to offering the full policy limit of $100,000. In a motorcycle crash, Mercury Insurance claimed the motorcyclist was the sole cause of the accident because he allegedly operated his motorcycle at an excessive speed. Our firm’s investigation uncovered that a driver insured by Mercury Insurance had made an unsafe lane change across a double-yellow line into the HOV lane of a freeway. As a result of our investigation, Mercury Insurance offered the motorcycle crash victim the policy limit of $250,000. Finally, a bicycle crash victim’s claim was denied by Mercury Insurance after Mercury Insurance accused the bicyclist of “clipping” the insured driver’s car. Our firm went to work and investigated the cause of the crash. We found that the insured driver was the principal cause of the crash in that the driver had failed to provide sufficient space between the car and the bicyclist when passing the bicyclist. Our investigation convinced Mercury Insurance, which subsequently paid out the policy limit of $100,000. At the Steven M. Sweat, Personal Injury Lawyers, APC, an experienced Los Angeles auto accident lawyer can help you obtain the settlement you deserve, so please call today at 866-966-5240 for assistance.